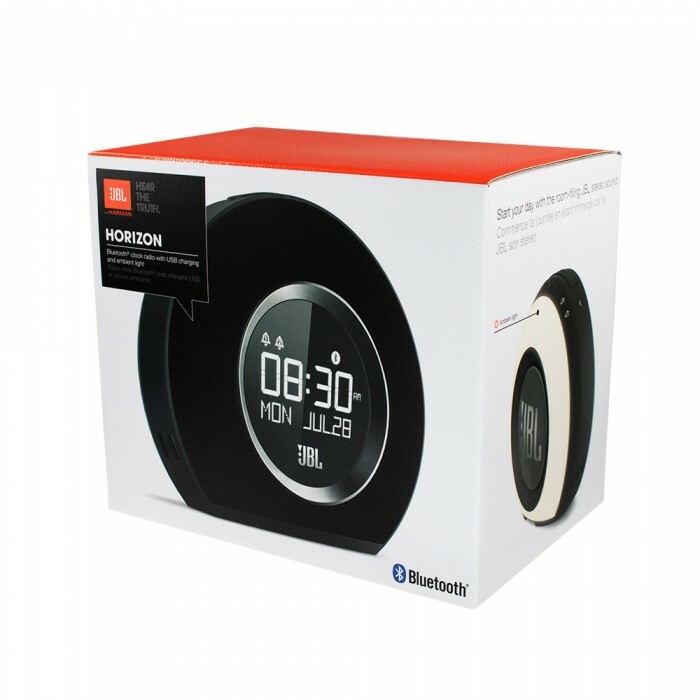 The JBL Horizon clock radio wakes you up with one of several original wake up sounds, one of five programmable radio presets, music from your smartphone or tablet played wirelessly via Bluetooth® or a traditional buzzer. 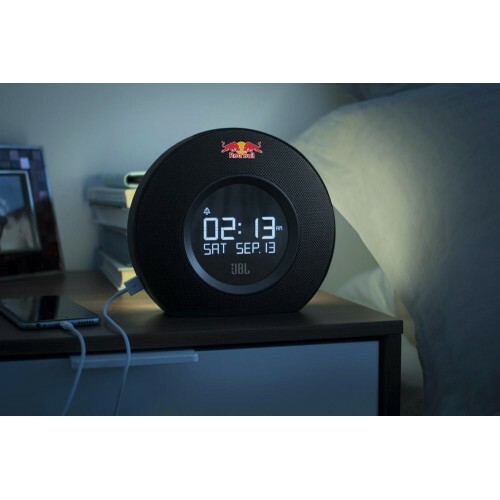 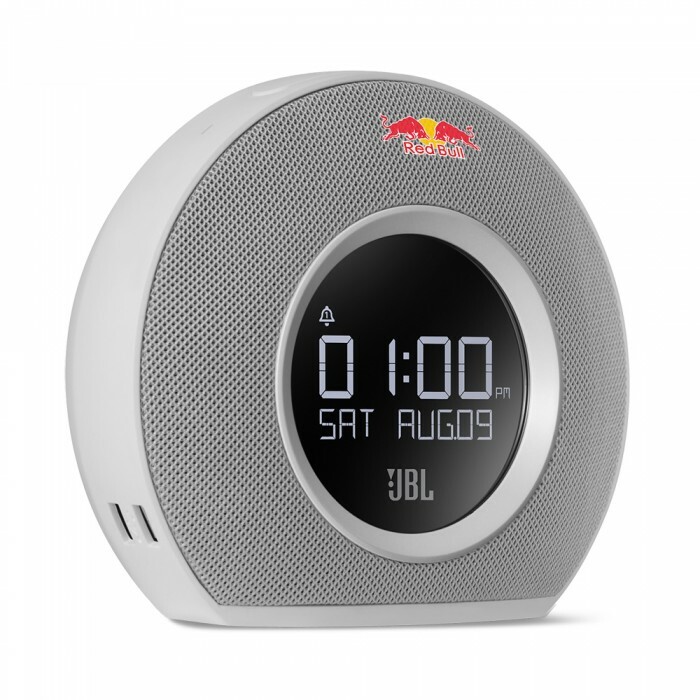 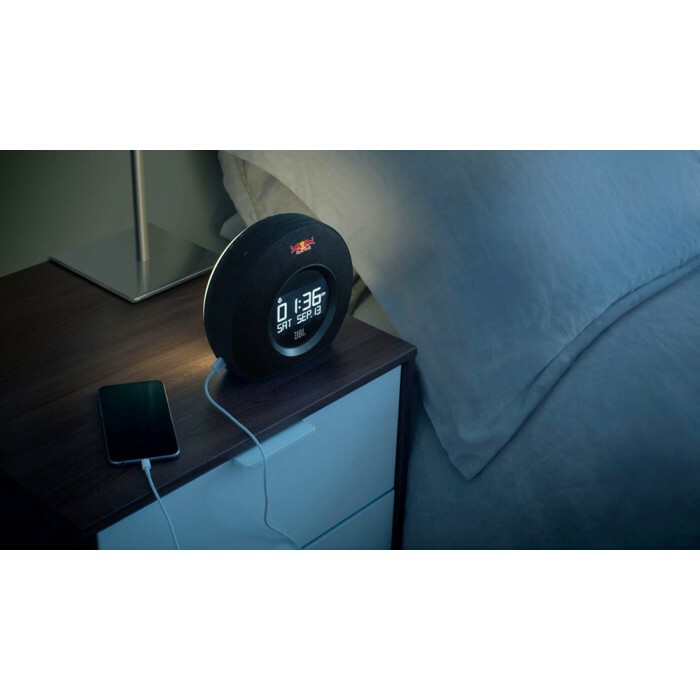 The JBL Horizon clock radio offers two alarms, FM radio, Bluetooth® music streaming, JBL sound, ambient light and dual USB ports charge all your devices - all in a compact design. 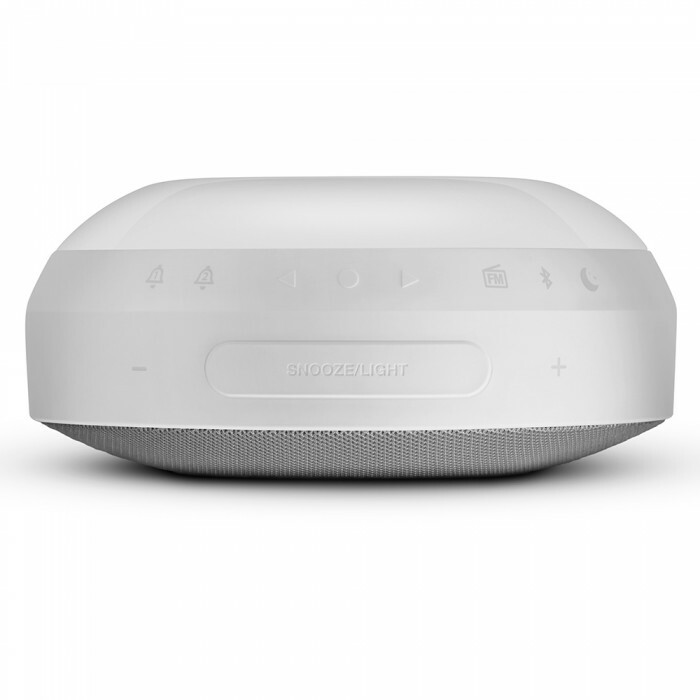 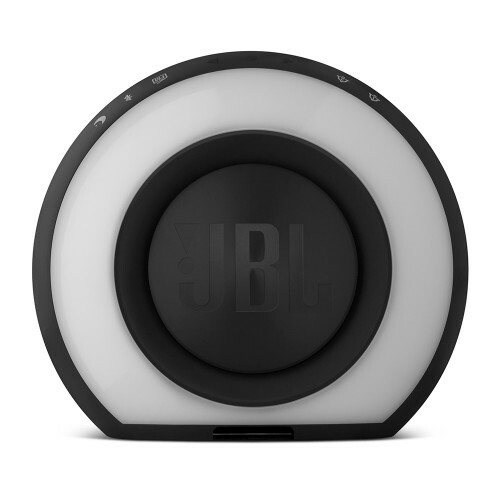 Bluetooth® Streaming - Streams music from any Bluetooth®-enabled phone, tablet or music player. 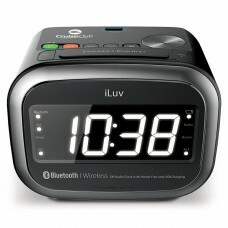 Compatible with all smart devices. 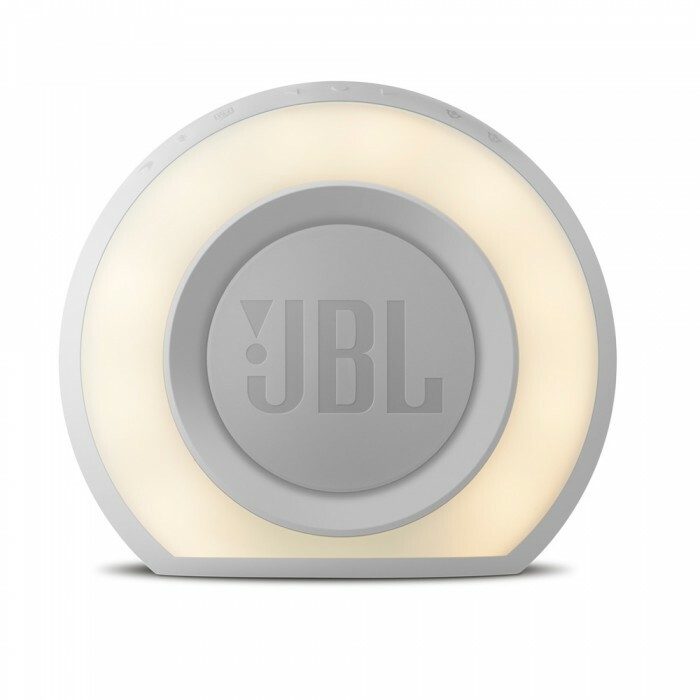 JBL stereo sound - Rich, room-filling stereo sound from a compact package. 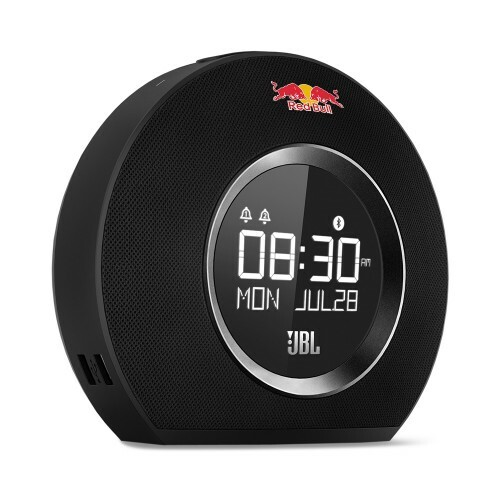 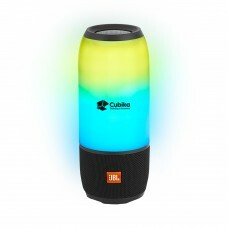 Enjoy JBL sound whether using as an alarm clock or a Bluetooth speaker. USB charging - Two independent USB ports provide fast charging (1 amp) for up to two devices. 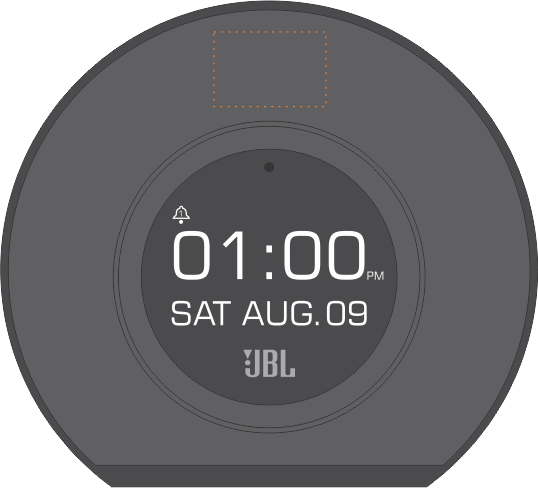 Compact, attractive design - Rounded lines and compact form complement any décor. 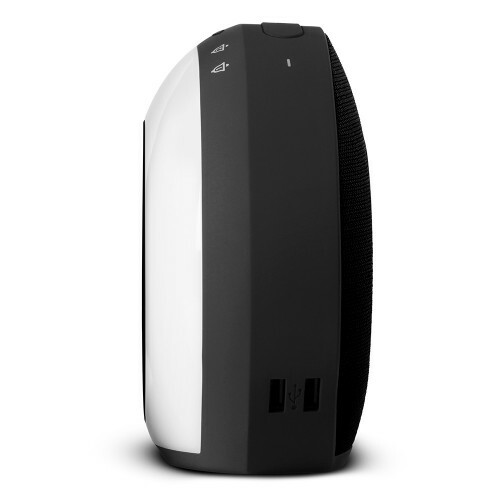 Soft, rubberized finish is inviting to touch. Size: 7 3/16L" x 3 3/8W" x 6 5/16H"
Imprint 1: Side: 3/4W" x 3/4H"
Imprint 2: Back: 1W" x 3/16H"
Carton/Dimensions: 18L" x 13W" x 8H"